The Town of Marshfield is located in Southeastern Massachusetts in Plymouth County. A coastal community 30 miles south of Boston. There are eight villages in the town: Marshfield Center, Fieldston, Ocean Bluff, Rexhame, Brant Rock, Green Harbor, Marshfield Hills, and North Marshfield. The following beaches comprise Marshfield’s 5-mile-long public seashore: Rexhame, Fieldston, Sunrise, Ocean Bluff, Brant Rock, Blackman’s Point, Blue Fish Cove, Burke’s and Green Harbor. Marshfield is a popular summer beach destination. Tourists and vacationers cause the town’s population to nearly double from Memorial Day through Labor Day weekend. 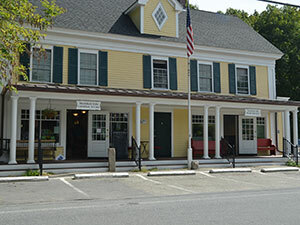 Marshfield has a yearly population of about 25,000 people which grows to about 40,000 in the summer months.